Summer is here! Well, if you go by the Memorial Day Summer time calendar it is! 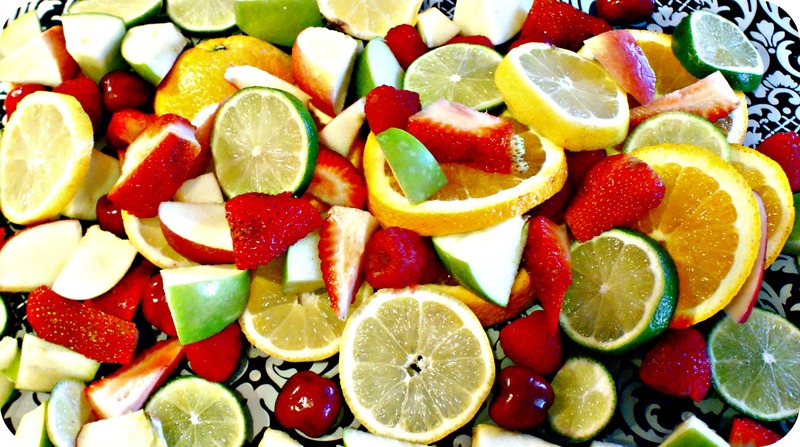 One thing I love love LOVE about Summer is the fresh fruit. 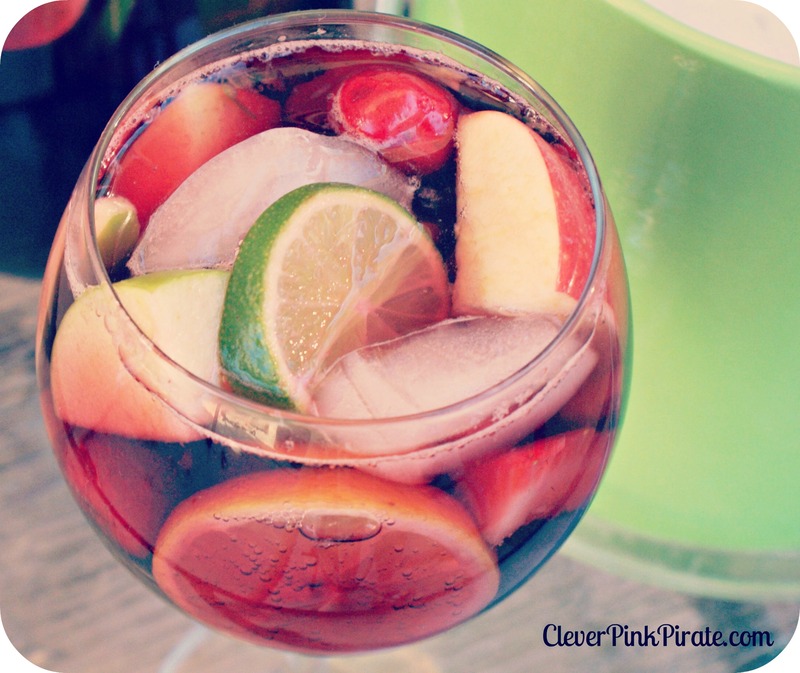 So many possibilities including this one….Sangria! I’ve made Sangria before and I’ve tasted it different ways which is probably why it’s one of my favorites, there really is no right or wrong way to enjoy it and you get to enjoy fruit with it! 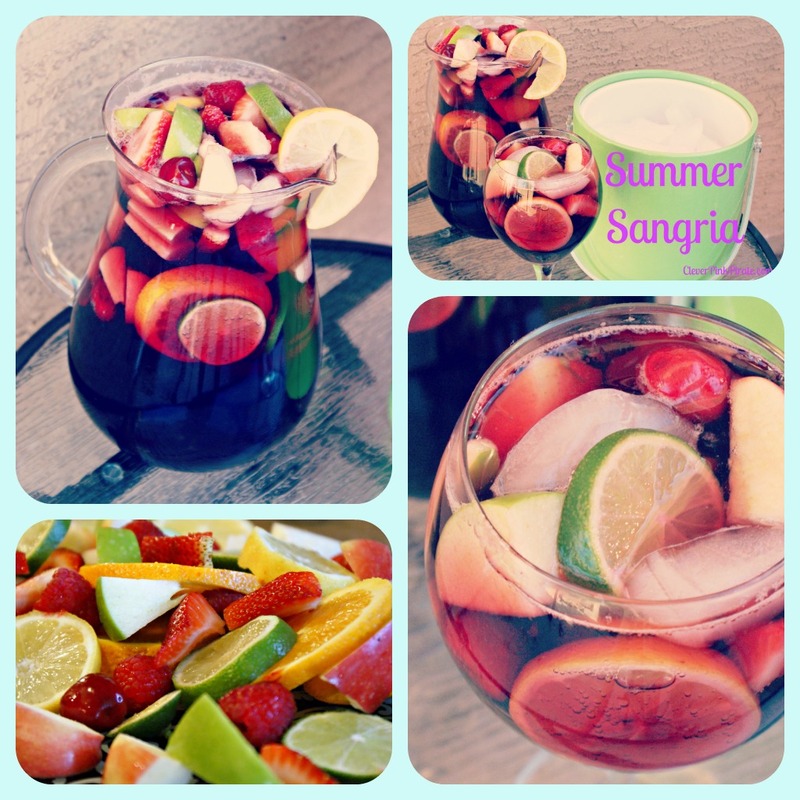 This Sangria recipe is easy and you can make it with ingredients on hand including making it with an opened bottle of red wine that you weren’t able to finish to serve the next day. Pour all the ingredients together, serve with ice! Be careful, this makes a LOT! So if you have opened bottles, great. If you are making a large batch, have a large beverage cooler to put it in. You can adjust Sangria to taste, less sugar, use orange juice etc. Possibilities are endless!! You don’t have to get a fancy red wine, any type of cheap red wine is great. I’m cheap so I mean anything under $10! 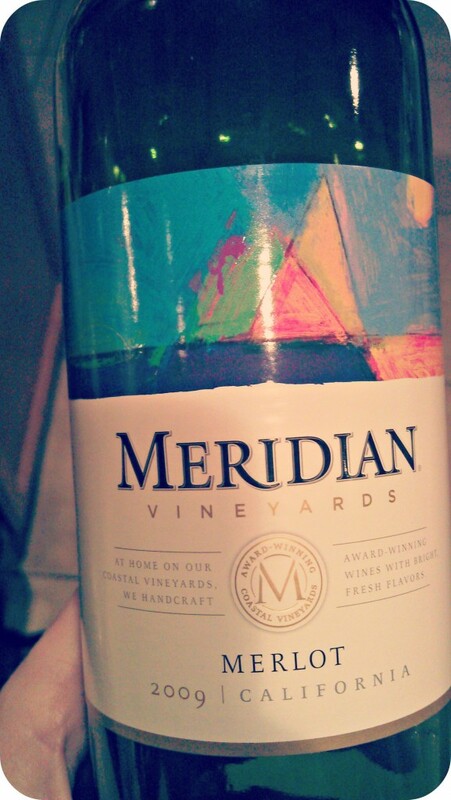 I found this Meridian Vineyards Merlot at Fry’s for only $4.10, regular $10.99! 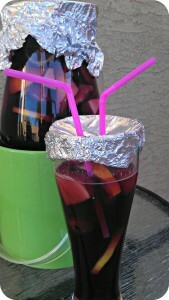 If your outdoor gathering has a fly invasion, give your guests a piece of tin foil and a straw. Everyone can enjoy their drinks without those yucky flies getting in the way.